The future resilience of coast redwoods is now of critical concern. 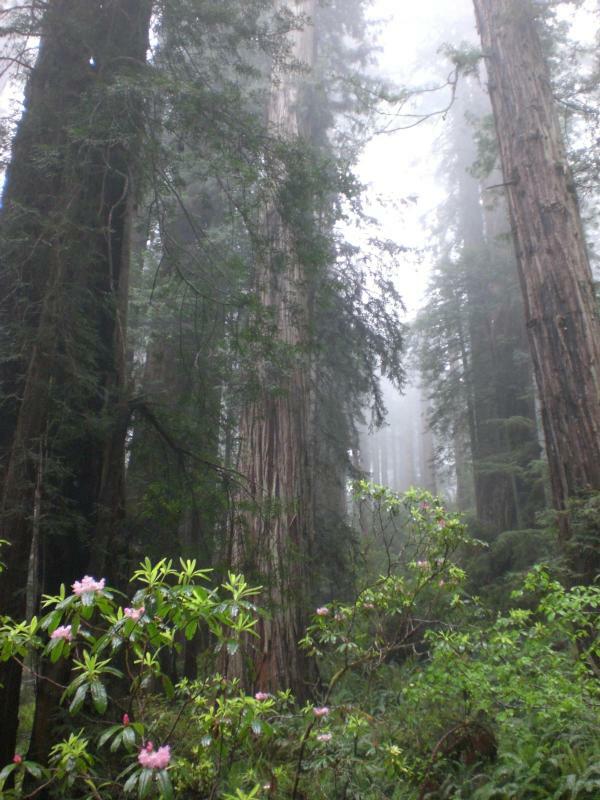 Redwoods rely on fog to supplement their water intake during California's long dry seasons. An observed decline in coastal fog over recent decades may be associated with human-caused climate change and expanding urban heat islands. However, fundamental ecological measurements are obscured by the presence of fog, making it difficult to understand how coast redwoods will respond to changes in fog cover. Now researchers with the Institute for the Study of Ecological and Evolutionary Climate Impacts (ISEECI) , which conducts climate research at UC Natural Reserves across California, are applying recent discoveries in atmospheric chemistry to answer this question. 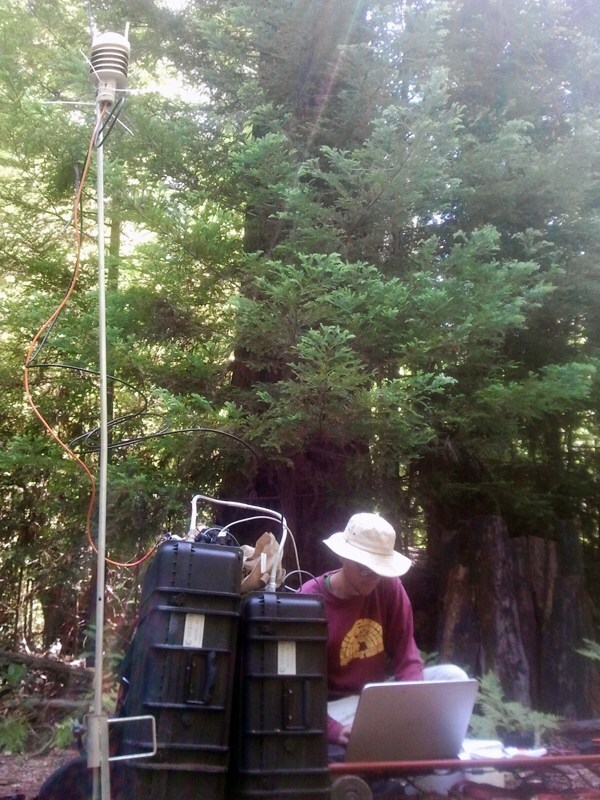 Elliott Campbell of UC Merced, Todd Dawson of UC Berkeley, Ulrike Seibt of UC Los Angeles, and Joe Berry of the Carnegie Institution are measuring atmospheric carbonyl sulfide in redwood forests. Carbonyl sulfide is a trace gas consumed by terrestrial plants in a process similar to photosynthesis. The first sampling campaign, held in the summer of 2015 at the Landels-Hill Big Creek Reserve in Big Sur and Big Basin State Park in Santa Cruz County, provided proof-of-concept evidence of this new approach. The hypothesis for this project was born out of an ISEECI meeting at the NRS's James San Jacinto Mountains Reserve. The next research steps will be carried out by inaugural ISEECI fellow Tim Hilton. Initial project results provided the foundation for a proposal to the National Science Foundation's Coastal SEES program that was led by Campbell and submitted in October 2015. Additional proposals related to this concept are currently being drafted to support instrumentation. These include a supplement proposal to the NSF Environmental Sustainability program. By studying this coastal biosphere-atmosphere system, investigators expect that they will gain much needed information about coast redwood responses to fog. They should also establish a foundation for future work on how coastal terrestrial, riparian, and intertidal habitats are vulnerable to shifts in fog frequency, as well as investigations into how fog affects irrigated agriculture, wildfire management, and water management.